Self-Direction gives individuals with developmental disabilities (or the people who help them) the ability to decide on a mix of supports and services that work best for their needs. Supports and services can include help to get and keep a job, help to live safely and learn new skills, help to learn about and enjoy activities in your community and help to stay healthy or improve your health. Self-Direction gives individuals and families greater control over the services they receive, how they receive them and who provides them. Through Self Direction, individuals have more control and flexibility to live as independently as they are able in their homes and communities. What does Self Direction include? Individuals who Self Direct choose to accept the authority to make decisions over some or all of their supports and services and they accept responsibility for taking a direct, leadership role in managing these supports and services. These areas of responsibility fall into two categories: employer authority and budget authority. Some services offer both authorities while others may offer one or the other. Employer Authority means that you and/or the people you choose to help you make primary decisions about the supports and services you need and who you want to provide these services. You may recruit your own staff, get your services from a community organization or hire an OPWDD provider agency to provide your services. Other choices you may make include deciding what qualifications your staff needs to have; what tasks they need to do to help you; what hours you need their help; and how to supervise your staff to let them know if the work they are doing meets your needs. Budget Authority means that you will manage a budget OPWDD approves to pay for the supports and services you need in a responsible manner. You and people who you choose to help you will make decisions about the services you need now and any changes you need to make to your services if your needs change. You may also have responsibility for authorizing payments for your supports and services, reviewing bills to make sure that you received the services you are paying for, and monitoring your monthly and yearly expenses to make sure that the cost of the services you receive stay within your approved budget amount. What help will I get if I choose to Self-Direct? Upon receiving authorization to start working on a Self-Directed Plan you will receive contact information to begin the process in selecting a Broker and a Fiscal Intermediary. 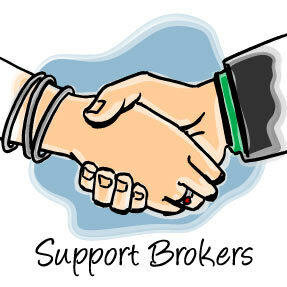 Brokerage: The selected Broker will help you develop a customized Self Directed Plan within you budget parameters. Your Broker may also help you decide what qualifications your staff needs to have and to recruit your staff, and help you identify what tasks they need to do to help you, what hours you need their help, and how to supervise your staff. Fiscal Intermediary: A Fiscal Intermediary works with the participant to implement the Human Resource (HR) activities and to complete billing and payment of the services identified in the budget template. Brokers and Fiscal Intermediaries have been through various OPWDD required trainings in regards to Self-Direction. Their increased knowledge base will help the participant and/or family navigate and implement a successful Self-Directed Plan. Which services can I Self-Direct? 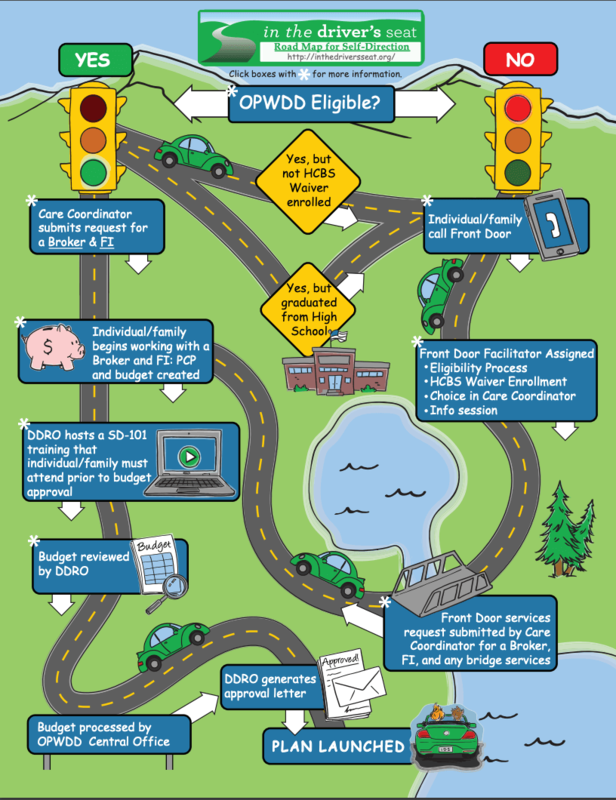 OPWDD currently offers a variety services that can be self-directed. These are Community Habilitation, Respite, Supported Employment, Individual Directed Goods and Services, Support Brokerage, and Live in Caregiver. Community Habilitation is a service that can support the participant to achieve his/her valued outcomes through activities such as skills training, assistance with daily living, and relationship building. Respite Services are only available to the participant’s parent or the person who is responsible for the primary care if the participant still lives at home. It is a service that allows parents, family members or other caregivers to have someone available to meet the participant’s needs when they are not available to do so. Brokerage Services help the person-centered planning process, by assisting the person to develop a circle of support and complete an approvable individualized plan and budget for services. The broker may also provide training and support to the person to help him/her gain the skills and competencies he/she needs to manage self-directed services. Supported Employment (SEMP) services are designed to meet the outcome of competitive employment for individuals. Self-Hired SEMP Staff will help the participant in Job development/job finding, situational assessment and reassessment, job coaching, skill training, improving work behaviors, mobility training, work-related socialization skills and employer/co-worker training and support. Live-in Caregiver is an unrelated care provider who resides in the same household as the participant and provides as needed supports to address the participant’s physical, social. 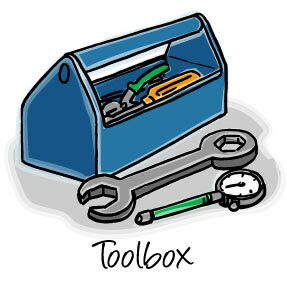 Or emotional needs in order for the participant to live safely and successfully in his or her own home. Individual Directed Goods and Services (IDGS) are services, equipment or supplies which includes improving and maintaining the participant’s opportunities for full membership in the community. Some examples of IDGS categories are: Camp, Community Classes & publicly available training/coaching, Health club/ organizational memberships and household- related items and services. As you think about the supports and services you can get through OPWDD, we hope that you think about self-direction as an option that can provide more choice and control over your services and your life. We are available to answer any questions you have about our self-directed service options. Please contact your Regional Office if we can give you more help. We look forward to working with you.